The Village Voice has just put out a clever iPhone app called Best Of. The app basically uses your location to help you find every place that was voted the "best of" something—be it restaurant or hot dog. The great thing about the app is that it's "utilizing the picks from publications like Houston Press, LA Weekly, Village Voice, Miami New Times and scores of other city guides and magazines" instead of using some sort of voting system which could be quickly gamed by businesses. When watched this video of someone bending the iPad 2's display glass I couldn't believe my eyes. Play it and see what I mean for yourself. While the iPad and iPhone's glasses can shatter easily, they are all incredibly bendable. To the point that it's hard to believe that this is glass and not plastic. BDXL is the optical storage medium du jour, but the options for those wanting its capacious quad-layer burning capabilities in a tasty to-go form factor are fairly limited. 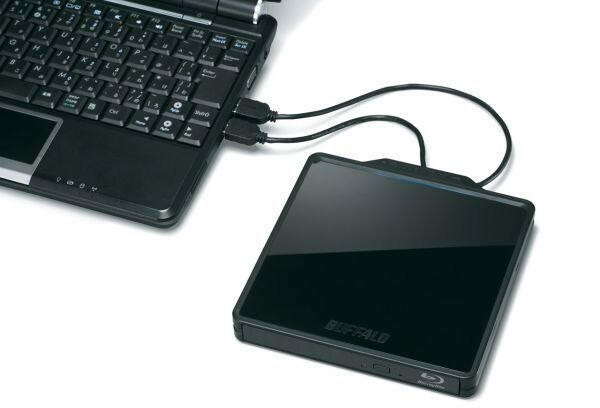 Previous drives have lacked a certain... aesthetic appeal, but now Buffalo has unveiled its BRXL-PC6U2-BK, a slim and shiny external model that'll handle all of your BDXL disc-creation needs. The drive can run off a single USB 2.0 plug, though writing at 4x speeds requires a second USB connection to give it the juice required to do the deed. Slated for a release by the end of March, otherwise known as next week, this hot little onyx number will set you back ¥22,100 (about $275). Just don't go blowing all your cash on the drive -- BR-R XL discs ain't cheap, y'know. Buffalo reveals slimline external BDXL burner for $275, affiliated media still makes your wallet weep originally appeared on Engadget on Fri, 25 Mar 2011 08:20:00 EDT. Please see our terms for use of feeds. Advances in nanowires may occur on a pretty regular basis these days, but this new development out of Germany's Max Planck Institute for Intelligent Systems could have a particularly big impact on one all-important area: cost. 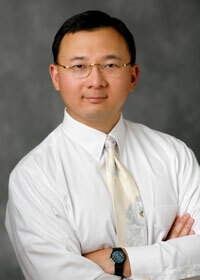 As PhysOrg reports, manufacturing semiconducter nanowires at an industrial scale is currently very expensive because they need to be produced at extremely high temperatures (600 to 900 degrees Celsius), and the process used to manufacture them generally uses pure gold as a catalyst, which obviously adds to the cost. This new process, however, can use inexpensive materials like aluminum as a catalyst, and it can produce crystalline semiconductor nanowires at temperatures of just 150 degrees Celsius. Of course, that's all still only being done in the lab at the moment, and there's no indication as to when it might actually be more widely used. Researchers produce cheaper, 'cooler' semiconductor nanowires originally appeared on Engadget on Fri, 25 Mar 2011 09:18:00 EDT. Please see our terms for use of feeds. AMD's Zacate E-350 APU (better known to casual observers as a member of the Fusion platform) has been shocking critics since its long-awaiting introduction earlier in the year, finally giving people a real alternative to Intel's historically sluggish Atom lineup. In the event that you've been waiting for Fusion-based options from MSI, a couple of previously introduced machines are now making their way out to the shipping docks. First up, it's the 15.6-inch CR650, complete with a dual-core E-350 APU (which includes a Radeon HD 6310 discrete-class graphics chip), an HDMI port, 720p webcam and a downright luscious $499.99 starting price. For those looking for something a wee bit less portable, or for those looking to significantly increase their load, the Fusion-backed Wind Top AE2050 ($679.99) is also shipping to Earthlings in North America. Hit the links below to learn more on each. 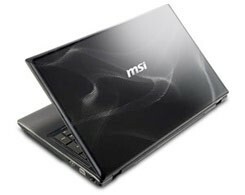 MSI ships Fusion-based CR650 laptop, Wind Top AE2050 all-in-one PC originally appeared on Engadget on Fri, 25 Mar 2011 10:07:00 EDT. Please see our terms for use of feeds. When it comes to mobile RAM, capacity is often what pops to mind first while we overlook speed and power consumption, but Samsung's latest delivery is worth the extra attention. Earlier this month, said Korean giant started producing 30nm 4Gb 1066Mbps LPDDR2 (or simply Mobile DDR2) chips, in order to phase out its 40nm ones that topped 2Gb at a 800Mbps transmission rate. To put it in perspective, a 40nm 1GB package consists of four 2Gb chips, whereas the new 30nm one will only need two 4Gb chips, thus reducing the package thickness by 20 percent (down to 0.8mm) and power consumption by 25 percent. 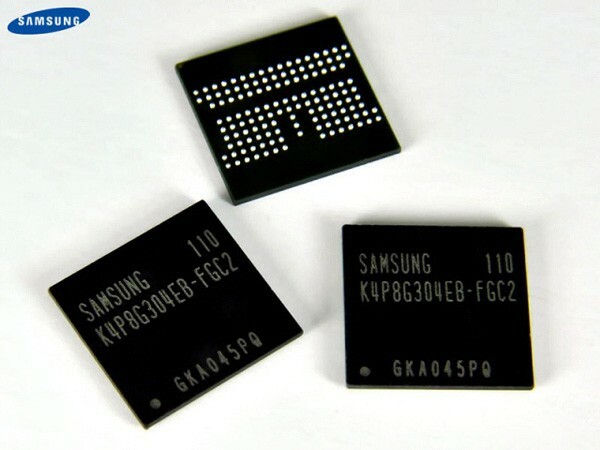 It's hard to tell when we'll start seeing these bits of silicon entering the consumer market, but Samsung's already stamping out 1GB modules this month, with a 2GB version to follow next month. Oh yes, we're definitely liking the sound of 2GB RAM for mobile phones. 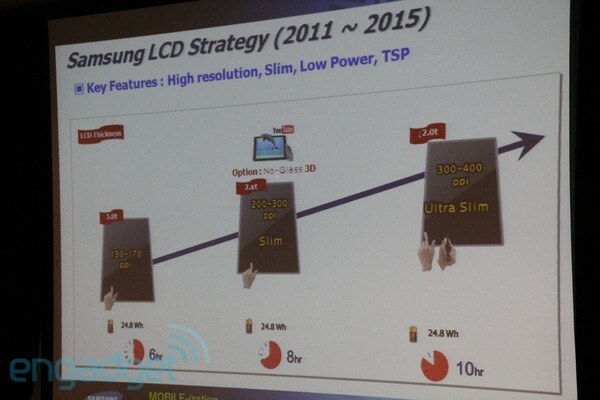 Samsung starts baking 30nm 4Gb LPDDR2 chips, packaging 2GB mobile RAM in April originally appeared on Engadget on Fri, 25 Mar 2011 11:57:00 EDT. Please see our terms for use of feeds. We finally got our hands on the elusive Samsung Nexus S 4G for Sprint at CTIA here today and it's pretty much what you'd expect: a Nexus S with its GSM / HSPA radio swapped for a set of Sprint-compatible CDMA / EV-DO and WiMAX radios. While the Nexus S 4G lacks a SIM slot, it's actually 0.3mm thicker than the Nexus S -- that's the thickness of a business card, and is meaningless for all practical purposes. The phone also features a 4G signal indicator in the status bar, along with a 4G sub-menu in the wireless settings. Our demo unit was running Android 2.3.4 (!) -- a version we have not yet come across -- but we were told that neither the hardware nor the software are final at this point. So don't be surprised if the production model receives a few tweaks before launch. Perhaps a Sprint logo? Enjoy the gallery below, and hop past the break for our hands-on video. 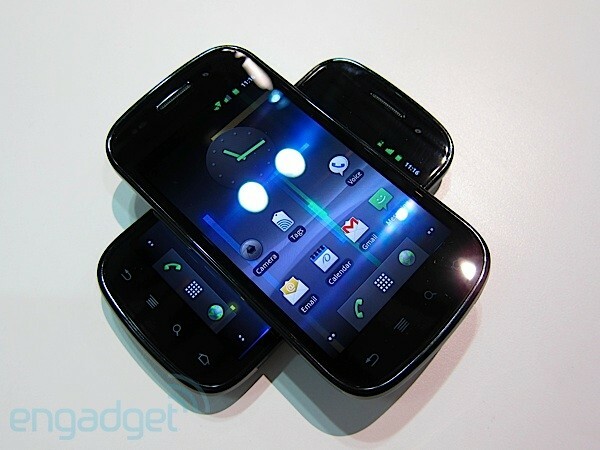 Google Nexus S 4G for Sprint hands-on (video) originally appeared on Engadget on Thu, 24 Mar 2011 18:28:00 EDT. Please see our terms for use of feeds. Remember that Google Voice integration for Sprint we mentioned recently? Today at CTIA we got to see it in action, and it promises to take us one step closer to our robot overlords -- well, those of us who are Sprint customers, anyway. The most exciting feature is that the integration works with almost any Sprint number and device, and is not limited to just smartphones or the newly minted Nexus S 4G. Basically, you can pick your Sprint number or your Google Voice number to be your mobile number, and switch between them if necessary. Either way, this is the number that appears on other people's phones when you call them, and you still benefit from all the Google Voice perks. See it for yourself in our video after the break. 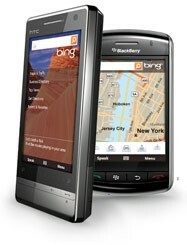 Google Voice for Sprint hands-on (video) originally appeared on Engadget on Thu, 24 Mar 2011 18:49:00 EDT. Please see our terms for use of feeds. Whatever Google (and Yahoo!) can do, Bing can do better? It doesn't exactly have that so-called ring to it, but Bing has proven to be a legitimate contender in the search wars -- particularly on the mobile side. This week, Microsoft launched a number of updates to the Bing for Mobile browse portal, giving users access to better and faster image search, real-time transit and directions, app search for the iPhone, and more. The new version relies on HTML5, and the company assures us that Windows Phone 7 support for the updates (and HTML5) will be available later in the year. On-the-go users will also see transit directions (real-time in Boston, San Francisco, Seattle, Chicago, and Los Angeles), a reorganized shopping experience, automated weather suggestions and app / movie searches. Head on down to the source link (on your phone, of course) to see if any of the new features have you sold. Bing for Mobile portal gets updated, brings HTML5-based fanciness originally appeared on Engadget on Thu, 24 Mar 2011 21:40:00 EDT. Please see our terms for use of feeds. Small is beautiful, but only when you can see it. Specifically, we're talking about nanostructures -- including cellular organelles and nanoelectronic circuits -- around the order of 100nm. 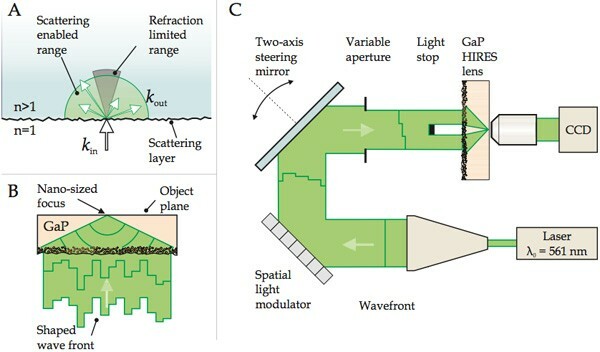 The problem is with a microscope, visible light only takes us down to a resolution of 200nm at best, and it's not always ideal to use conventional methods to boost the resolution -- you'd either have to dope the subject with fluorescent dye or use highly delicate equipment. Thankfully, the University of Twente has come up with a new type of lens that would solve this problem: in a nutshell, a nanoparticle is placed on one side of the gallium phosphide lens, while the other side -- disorderedly etched with acid -- takes in a precisely modulated laser beam and scatters it into a focal point of your choice. Sure, this sounds bizarre and ironic, but apparently the modulation is controlled in such a way that the scattered beam focuses much tighter than an ordinary beam would using an ordinary lens. Have a look at the comparison shots of some gold nanoparticles after the break -- that's some sweet 97nm resolution right there for ya. University of Twente's new lens reveals the sub-100nm level with visible light originally appeared on Engadget on Thu, 24 Mar 2011 23:50:00 EDT. Please see our terms for use of feeds. Elon Musk's heart may have already given up on the humble battery, lusting after capacitors, but researchers at the University of Illinois have think there's life in the 'ol cells yet, creating batteries that charge and discharge in seconds. 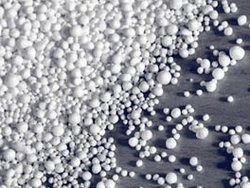 They've found a way to create electrodes using polystyrene beads as a sort of substrate, tiny spheres helping to set the porosity of either the nickel-metal hydride or lithium-manganese capacitor material. By adjusting the size and density of the bean bag innards the team was able to create an electrode porosity of 94 percent, which is just a few ticks short of theoretically ideal for exposing the maximum surface area of the electrode to the battery material. This results in extremely fast charges and discharges, the NiMH cell hitting 90 percent capacity in just 20 seconds and discharging in as quickly as 2.7 seconds. While we don't know just what kind of charging system the team was using to achieve this, even assuming a high-amperage stream of electrons this is still a remarkable feat. But, like most major advances there's a drawback: similar to Toshiba's SCiB batts the capacity of these cells is only about three quarters what it would be using normal battery construction, meaning you'd need roughly 25 percent more mass to get the same range in your ultra-fast charging EV of the future. That might just be a worthy trade-off. Styrofoam touches electrodes to create incredibly fast-charging wonderbatteries originally appeared on Engadget on Fri, 25 Mar 2011 00:29:00 EDT. Please see our terms for use of feeds. Well, it looks Eric Schmidt wasn't far off when he said recently that Microsoft is bigger competition than Facebook for Google -- at least when it comes to overall brand value, that is. According to BrandFinance's latest annual ranking, Google has just barely edged out Microsoft for the title of most valuable brand in the world, with the pair of them pushing Walmart out from the number one spot last year. As for Facebook, it just entered the top 500 for the first time at number 285, while Apple jumped twelve spots to make its first appearance in the top ten at number eight -- a shift that partly comes at the expense of usual suspect Coca Cola, which has dropped out of the top ten for the first time. The biggest loser? Nokia. It dropped all the way from number 21 last year to number 94 this year. Hit up the source link below for the complete list. BrandFinance declares Google the most valuable brand in the world originally appeared on Engadget on Fri, 25 Mar 2011 04:52:00 EDT. Please see our terms for use of feeds. 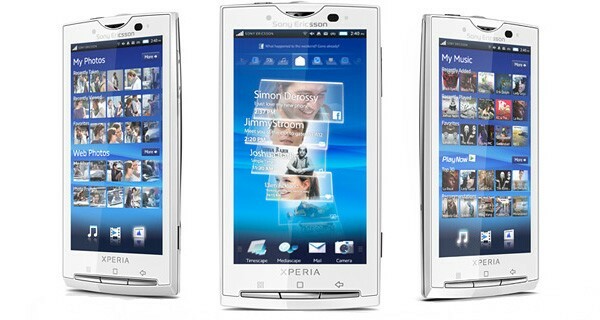 Who's in charge of Sony Ericsson today and what did they do with the old crew? Reversing a previous statement saying there'll be no Android updates for its Xperia X10 family beyond Eclair, SE has just announced that it'll bring Gingerbread to the X10 at the end of Q2 / start of Q3 this year. That's right around this summer, when we should expect a user experience roughly equivalent to that on the new Xperia Arc, Neo and Play devices, whose Gingerbread implementation looks to have served as the basis for the elder X10's upcoming update. Seriously, Gingerbread on the X10, we still can't believe it. Xperia X10 to get Android 2.3 this summer, makes us rub our eyes in disbelief originally appeared on Engadget on Fri, 25 Mar 2011 07:39:00 EDT. Please see our terms for use of feeds. Kingston is putting an extra boost the smallest of its tiny memory cards. The popular provider of flash storage is upping its 4GB and 8GB microSDHC cards from Class 4 specifications (up to a 4 MB/s transfer rate) to a whopping Class 10 spec and all of its 10 MB/s goodness. The newly announced models join a 16GB version that has been available for several months. By completing the family tree of Class 10 cards, Kingston is offering faster all-round performance for file transfers on smartphones, quicker write times for microSD-wielding cameras and basically a few seconds of your life back -- at lower prices than before, though you'll still be paying a premium compared to slower cards. Our microSDHC-accepting devices are itching to hop aboard this speedier train of data storage, and luckily we won't have to wait long. The two memory cards start shipping at the end of March and are being offered with an available Mobility Kit, which includes an SD adapter and a USB card reader. But, if you want a full-fat 32GB model, you'll have to wait for Q2 of 2011 like the rest of us. Pricing starts at $22 for a 4GB model up to $138 for the 16GB model -- check after the break for full breakdown of prices and more in the PR. 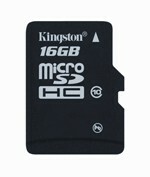 Kingston's Class 10 microSD family gets bigger, stays tiny originally appeared on Engadget on Wed, 23 Mar 2011 13:20:00 EDT. Please see our terms for use of feeds. If you liked the idea of the Car2go service we profiled a few weeks back, Smart fortwos available for rent by the minute with and some pretty fancy tracking apps to help you find them, but maybe you wanted to drive something a little bit bigger, BMW has you covered. Well, assuming "you" are German or at least living in Germany. 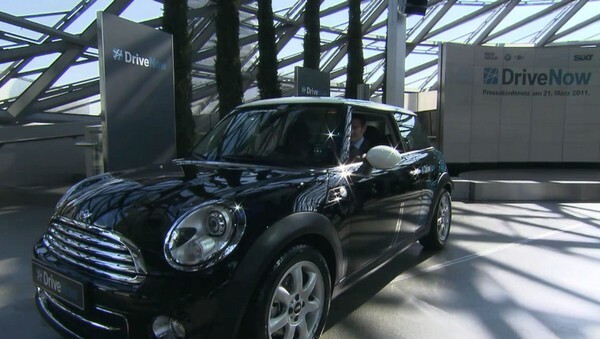 The company has launched its own car sharing service it calls DriveNow. This one is billed as a "premium" -- though curiously none of the company's truly premium models will be offered. That said, the Minis and 1 Series autos that make up the initial fleet are hardly low-rent, and we'd be utterly shocked if the upcoming i3 didn't get added to the mix down the road too. Usage details are still a little bit scarce, but we do know that each car will have a dash-mounted Dell Streak through which users will log in after unlocking the car doors with an RFID-equipped membership card or even a suitably endowed drivers license. Renting a car costs 29 cents per minute, up to €14.90 (about $21) per hour, and there will be 300 cars available at first starting in the Munich area. If you're not in Munich it's tough cookies for now, but BMW is hoping to have one million members worldwide by 2020. Maybe one of them will be you. BMW launches DriveNow, the 'premium' car sharing service with a Dell Streak on every dash (video) originally appeared on Engadget on Wed, 23 Mar 2011 13:42:00 EDT. Please see our terms for use of feeds. Never mind the fact that Intel's outing a mid-range laptop CPU long after the highest of high-end -- the 2.53GHz Core i5-2520M is shaping up to be a lovely option for those who'd prefer a budget choice with plenty of horsepower for churning through HD video. The benchmarking gurus over at Hot Hardware recently grabbed hold of the new silicon, and they noticed an "unmatched performance-per-watt profile for mobile CPUs," not to mention a robust graphics core, "ridiculously low idle power consumption," a respectable price point and plenty of power for any software title not named Crysis 2. ASUS' 15.6-inch K53E was the test machine, and with a starting tag of just $899, it's definitely a compelling package. Based on their testing, this particular CPU was around 15 to 25 percent faster across the board compared to its previous generation 2.5GHz Arrandale counterpart, and that's with around the same power draw, too. Hit the source link for more charts than you'd care to see on an average workday, and be on the lookout for this chip to hit a whole slew of new rigs in the coming weeks. 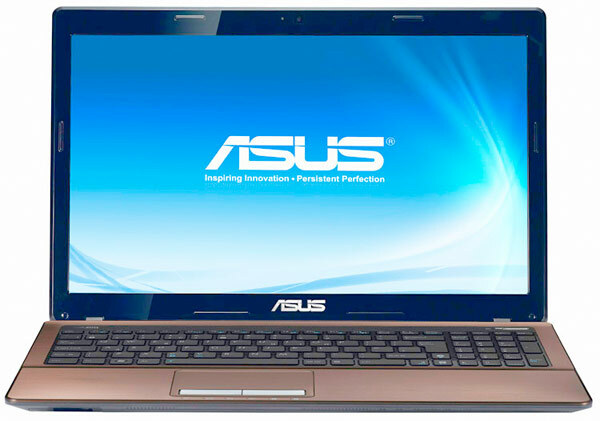 ASUS' K53E laptop gets reviewed, 2.53GHz Core i5-2520M CPU gets praised originally appeared on Engadget on Wed, 23 Mar 2011 14:46:00 EDT. Please see our terms for use of feeds. It already had its premiere in Monaco last year, but composer Tod Machover's new opera, "Death and the Powers," has now finally made it to the United States. Why are we reporting on a new opera (rather than Opera) on Engadget? 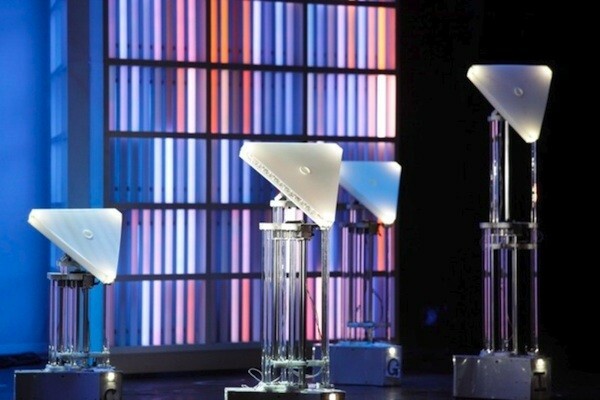 Well, it just so happens to feature the "Operabots" pictured above, which were developed by MIT's Media Lab. The lab also helped develop some of the opera's other high-tech components, but it seems like the Operabots are the real standout -- they're "semi-autonomous" and freely roam around the stage throughout the opera, acting as a Greek chorus. Not surprisingly, the opera itself also deals with some futuristic subject matter. The Powers of the title is Simon Powers, a "Bill Gates, Walt Disney-type" who decides to upload his consciousness into "The System" before he dies -- hijinks then ensue. Those in Boston can apparently still get tickets for the final performance on March 25th -- after that it moves onto Chicago for four performances between April 2nd and 10th. Head on past the break for a preview. Operabots take center stage at MIT Media Lab's 'Death and the Powers' opera originally appeared on Engadget on Wed, 23 Mar 2011 15:08:00 EDT. Please see our terms for use of feeds. There's nothing concrete to sink your teeth into just yet, but a couple of people "familiar with the matter" have informed Bloomberg that Apple could be taking AirPlay to the next level. Up until now, companies have been shelling out $4 per device to add AirPlay audio streaming into their products, but there's a very real demand for video to be included in that as well. According to sources, the video streaming protocol is already baked in, but not enabled / allowed under the current licensing agreement. It's bruited that the folks in Cupertino could soon expand the AirPlay license program to include video streaming from iPhones and iPads, with integration into HDTVs being the most obvious application. Specifically, the new plan would enable electronics makers to "use [AirPlay] in devices for streaming movies, TV shows and other video content," but there's no clear time table as to when any of this would go down. 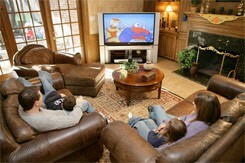 Will CEDIA 2011 be the launchpad for AirPlay-enabled televisions? If so, don't ever say we didn't see it coming. Apple could be licensing AirPlay for video streaming, HDTV integration seems imminent originally appeared on Engadget on Wed, 23 Mar 2011 17:28:00 EDT. Please see our terms for use of feeds. Samsung gazed into its crystal ball today, and what did it see? The pixel density of tablet screens drastically increasing. Yes, while Apple may not have managed to cram a screen into the iPad 2 worthy of the Retina moniker, it sounds like Samsung may be working on just such a thing, as the company projects that it will have tablet displays with 300 to 400 pixel-per-inch resolutions by 2015. Presently, the Samsung Galaxy Tab has a seven-inch, 1024 x 600 panel, which translates to only about 170ppi, but Samsung suggests that tablets of the exact same size might stretch well beyond 1080p desktop resolutions as pixel density increases, and yet still manage a respectable 8 to 10 hours of battery life. Samsung also said that while it's still waiting to see if consumers adopt stereoscopic 3D, it might be interested in joining the throng, perhaps bringing a glasses-free tablet display to market in the years to come. Curious what else the future might hold, according to Samsung? Take a peek at our gallery below. Samsung sees a Retina Display in your tablet future, and perhaps glasses-free 3D originally appeared on Engadget on Wed, 23 Mar 2011 19:41:00 EDT. Please see our terms for use of feeds. We chatted with a fascinating French startup by the name of Wysips here at CTIA today that's showing off transparent photovoltaic film -- in other words, it generates power from light... and you can see right through it. It's the only such film in the world, apparently -- and though you can probably imagine a host of possible applications for something like that, turning the entire surface of a touchscreen smartphone into a self-sufficient, solar-powered beast is clearly high on the list. Read all about it after the break! 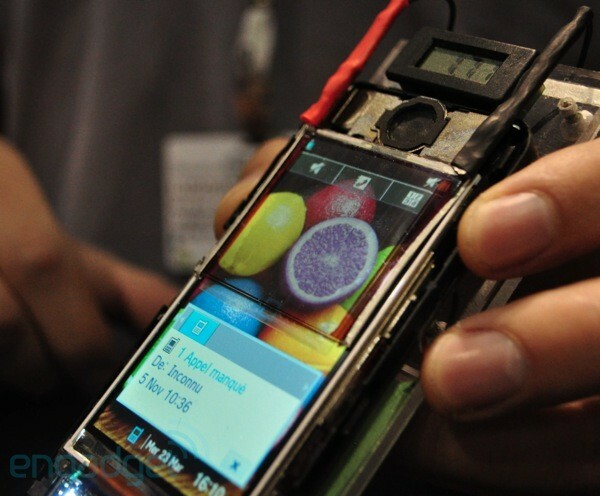 Wysips wants to turn your phone's display into a solar cell (hands-on with video) originally appeared on Engadget on Wed, 23 Mar 2011 20:33:00 EDT. Please see our terms for use of feeds.